Going from traditional payment methods to more modern ones like an iPhone credit card reader or an Android credit card reader can seem like a big jump, and one that takes a lot of time, effort, and money. Even though it’s clear that not having an on-the-go payment solution can seriously harm your business, a lot of small business owners are put off by what they think are difficulties in getting everything set up. We’re here to walk you through the process, step by step. SmartTrade is the best mobile payment app out there—it’s free, doesn’t require a merchant account, doesn’t require you to sign a contract, doesn’t require that you purchase extra hardware like other iPhone credit card readers or Android credit card readers, and has some of the lowest transaction fees in the business. Even from 0%! With no hardware! You really have nothing to lose. So let’s get started! Step 1: download the SmartTrade app. The SmartTrade mobile payment app is free; all you have to do is download it from the App Store for your iPhone or iPad. You’ll soon be able to take credit card payments on your Android, as well. Step 2: sign up for an account. After downloading the app, fire it up and you’ll be prompted to enter a user name and password or create a new account. If you’ve already created an account at SmartTradeApp.com, you can use the login details from that account; if not, just fill out a few pieces of information, like your name, business name, phone number, and business details (like your VAT number and your bank account information). Step 3: sign up for a Stripe account. To be able to take credit card payments on your iPhone, you’ll need a Stripe account as well. Stripe is our payment provider who bring’s you the best mobile payment performance in the business. All of the information that you used for your SmartTrade account will be automatically used for your Stripe account as well—you just need to fill in a couple more details. Step 4: start taking payments! After you’ve signed up for a SmartTrade and a Stripe account, you’re ready to start taking credit card payments on your mobile! We’ll cover the details in another post, but if you’ve gotten this far, you now have a mobile payment solution. 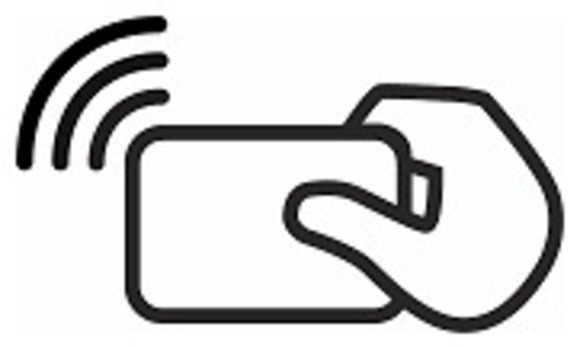 Its similar to a Contactless payment with just your phone. It’s really that easy. It might seem like getting a new payment solution up and running is a big deal, but with SmartTrade, you can literally start taking payments in a few minutes. The app is free, and you have nothing to lose—try it out today!